The Game Awards 2018 announcement incoming? 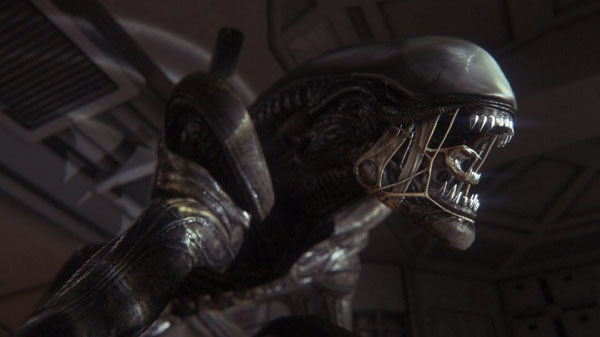 20th Century Fox has trademarked “Alien: Blackout” for use with “computer game discs; software, namely game software,” and the like. The teaser image for The Game Awards 2018, which will air on December 6, teases “Worlds with Change” repeated over and over with a 70s-themed font and a giant “W” in the upper left corner—similar the the Weyland-Yutani Corporation of the Alien franchise. Game designer Hideo Kojima, a friend of awards show host Geoff Keighley, has seemingly also helped tease an announcement. Update 3:15 p.m.: The Twitter accounts @AlienBlackout and @Alien_Blackout have been discovered. Both were created in September. Industry, Alien: Blackout, Trademarks, Warner Bros.